Centre for Assessment has announced their training course dates for 2017 – see below for full details. This one-day workshop will equip delegates with the knowledge and skills to competently audit their internal quality management system as required by ISO 9001:2008 or ISO 9001:2015. By the end of the workshop, delegates will receive an internal audit certificate which demonstrates the necessary level of audit competence required by ISO 9001:2008/2015 and will be able to return to work, capable of carrying out internal quality audits at a good standard. This workshop is designed for people who have had no formal training in carrying out ISO 9001 internal audits or for people who want to refresh their skills and get up to date with ISO 9001:2008/2015 audit requirements. ISO 9001: 2015 has now been published and Centre for Assessment is here to ensure your transition from the 2008 version of the Standard to the 2015 version is as seamless and smooth as possible. All Certified organisations will have until 30th September 2018 to transition to the 2015 version of the Standard, and although not mandatory, Centre for Assessment encourages a swift or early transition. This course is aimed at individuals who are responsible for implementing or maintaining a quality management system and in particular, those who are tasked with managing the transition to the updated Standard. The Customer Service Excellence Champions role is pivotal in ensuring organisations are well on the way to gaining accreditation with the CSE standard. The aim of this training is to build capacity within organisations whilst leading and implementing further work in raising awareness of CSE and the requirements of the standard. This course is ideal for those who are currently working towards CSE accreditation and those who are currently accredited with CSE and want to increase their knowledge of the standard. Are you ready for the SRA’s New Regime? This practical and interactive course will explore the new regime introduced by the SRA to replace the previous CPD requirements for solicitors this year. The course will explore what it all means in practical terms and how firms and their solicitors can ensure that they have arrangements in place to meet the SRA’s requirements. What records do we need to keep? How can Lexcel accreditation help? 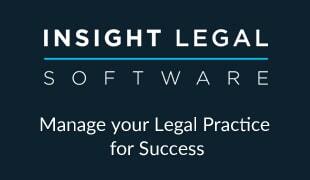 It will be suitable for managing partners, COLPs, training partners & managers, HR & practice managers and any solicitors interested in their continuing competence.